Questions about the history, membership, and life of the Eastern Catholic Churches. What are the Eastern Catholic Churches? Although it is not widely known in our Western world, the Catholic Church is actually a communion of Churches. According to the Constitution on the Church of the Second Vatican Council, Lumen Gentium, the Catholic Church is understood to be “a corporate body of Churches,” united with the Pope of Rome, who serves as the guardian of unity (LG, no. 23). At present there are 24 Churches that comprise the Catholic Church. The Code of Canon Law uses the phrase “autonomous ritual Churches” to describe these various Churches (canon 112). Each Church has its own hierarchy, spirituality, and theological perspective. Because of the particularities of history, there is only one Western Catholic Church, while there are 23 Eastern Catholic Churches. The Western Church, known officially as the Latin Church, is the largest of the Catholic Churches. It is immediately subject to the Roman Pontiff as Patriarch of the West. The Eastern Catholic Churches are each led by a Patriarch, Major Archbishop, or Metropolitan, who governs their Church together with a synod of bishops. Through the Congregation for Oriental Churches, the Roman Pontiff works to assure the health and well-being of the Eastern Catholic Churches. “From the beginning, this one Church has been marked by a great diversity which comes from both the variety of God’s gifts and the diversity of those who receive them… Holding a rightful place in the communion of the Church there are also particular Churches that retain their own traditions. The great richness of such diversity is not opposed to the Church’s unity” (CCC no. 814). Although there are 24 Churches, there are only six “Rites” that are used among them. A Rite is a “liturgical, theological, spiritual and disciplinary patrimony,” (Code of Canons of the Eastern Churches, canon 28). “Rite” best refers to the liturgical and disciplinary traditions used in celebrating the sacraments. Many Eastern Catholic Churches use the same Rite, although they are distinct autonomous Churches. 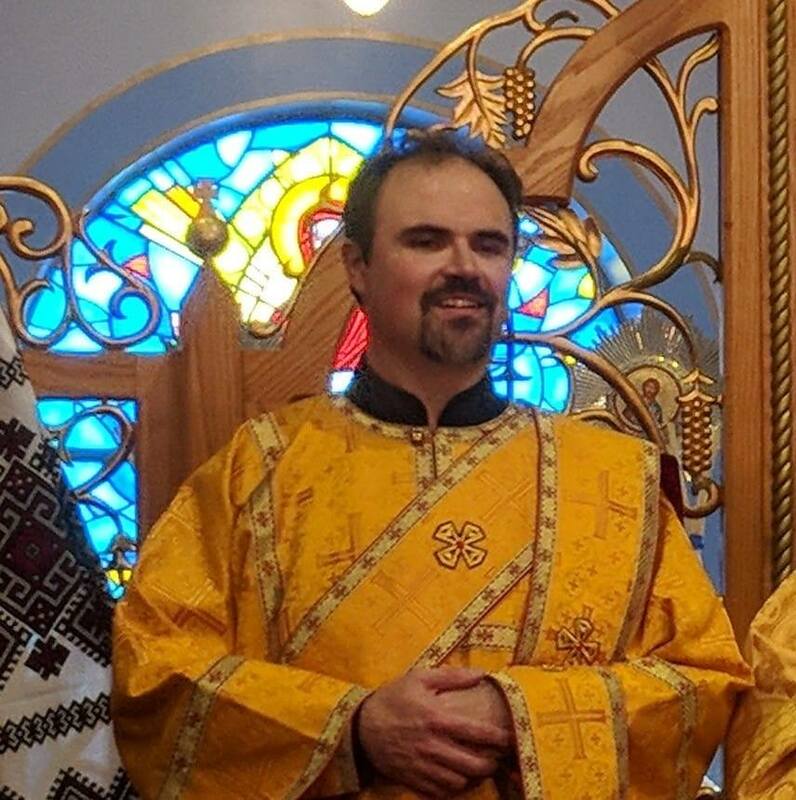 For example, the Ukrainian Catholic Church and the Melkite Catholic Church are distinct Churches with their own hierarchies. Yet they both use the Byzantine Rite. Are the Eastern Catholic Churches the same thing as Greek Orthodox Churches? Is the Pope the head of the Eastern Catholic Churches in addition to being head of the Roman Catholic Church? How did the Eastern Churches start and was the Roman Catholic Church started first by Jesus Christ? In the early centuries every community of believers gathered around a bishop was considered a Church. We see this in Paul’s epistles to the various Churches. For example, St. Paul begins I Corinthians with “To the church of God which is at Corinth…” (I Cor. 1:2). Eventually these local Churches found themselves uniting around certain prominent centers. Naturally large cities and sees established by Apostles had a certain prominence, and the bishops of these cities took on a leadership role. Thus, these groupings of local Churches also became known as Churches. As Christianity continued to spread and evolve, different customs and even theological perspectives arose. In time these groupings could accurately be called distinct ritual Churches (in today’s language). All of these Churches can trace their founding to Jesus Christ and his commission to the Twelve to go out and make disciples of all nations. Some Eastern Catholics claim to be “Orthodox in Communion with Rome.” How is this possible? Don’t many Catholic doctrines (such as purgatory, the Immaculate Conception, Papal Infallibility, etc.) directly contradict Orthodox theology? To be Orthodox is to reject such beliefs. That being said, I understand the reasoning behind using this expression. Eastern Catholics are bearers of the legacy of Orthodoxy within the Catholic communion. And furthermore, the theological differences that you mention are not insurmountable. If the will is there, common ground can be found. The root of most of these differences go back to the first millennium, during which communion was maintained in spite of these differences. Those voices that say that “we are too different” – on both sides – want to emphasize the difference. And usually the reason that they want to emphasize the difference isn’t really about theology, but something else. Also, I have known many Eastern Orthodox Christians – including priests and theologians – who do not reject the Immaculate Conception, Papal Infallibility, Purgatory, etc. as being heretical. While they do not embrace these beliefs as part of their theology, they believe that they can be reconciled with Eastern Orthodoxy. What I will say is this: if the will is there, it is possible to reconcile Eastern and Western beliefs. Both traditions grew out of the same deposit of faith. Also, the Western Catholic tradition recognizes the development of doctrine. The Latin Church is open to the exercise and understanding of the papacy being further refined, so that it is more consistent with the theology and praxis of the East throughout the first millennium. Numerous popes and magisterial documents have said as much. But aren’t the theological, soteriological, and ontological differences between Eastern Orthodoxy and Catholicism so profound that they cannot be easily reconciled? It’s not possible to be both Orthodox and Catholic simultaneously while remaining intellectually honest. Regarding the differences that you mention, I can see why they appear so problematic. But if both sides approach them with goodwill, and a willingness to consider the other viewpoints from a patristic perspective, they are far more compatible than they appear. I do understand your frustration, though. It takes a lot of work, prayers, and mutual humility to see through these differences to the common truth within. I was always told that Eastern Catholics are Eastern in liturgy, but must be Catholic in dogma. Saying that you are “Orthodox in Communion with Rome” contradicts that. To say that Eastern Catholics are to be “Catholic in dogma,” and Eastern in liturgy, etc., is a gross oversimplification. Vatican II also calls us to be Eastern in theology. The liturgy, and everything that comes with it, is nonsensical without the Eastern theology that underpins it. And all of the dogmas of the Catholic Church can be interpreted and understood according to an Eastern theological lens. There is no conflict or contradiction. It’s the reality of who we are, and what we are called to be. There is no contradiction in being fully Orthodox, and in communion with Rome, unless someone defines Orthodoxy in opposition to Catholicism. Such a person makes opposition to papal primacy and rejection of western theology the defining feature of Orthodoxy. Such a position is a distortion of true Orthodoxy. When I tell Latin Catholics that I’m “Orthodox in Communion with Rome,” I’m told that I must accept all Latin doctrines — as taught by the Catholic Church — or I am not truly Catholic. How do I reconcile this? I think that you are missing an important point of nuance. Being in communion means that we are united. It does not mean theological uniformity. There is a distinctive Eastern Christian theological tradition that Eastern Catholics have a duty to maintain. Vatican II emphasizes this. As Eastern Catholics, we aren’t required to adopt Latin theological expressions as our own. In fact, we shouldn’t. At the same time, we should not outright reject Latin theological expressions simply because some Eastern Orthodox Christians do. There is a way to reconcile these Latin expressions with Orthodox theology, if one is willing to look for it. Since we are in communion with the Latin Church, we owe them the courtesy of demonstrating how their beliefs can be reconciled with ours. At the same time, we are doing a disservice to our Latin brothers and sisters if we simply reject their beliefs outright. But Roman Catholics insist that I understand and embrace Latins Catholic doctrines exactly as they do, with the same language and terminology. Otherwise, I am not really Catholic. The Pope doesn’t feel this way. Neither do the vast majority of Latin bishops or priests. Now, if I were to get in their face, and say that these beliefs are FALSE, that would be problematic. But when I explain them in terms that are compatible with Eastern theology, and embrace the Eastern expression, reasonable Latins are perfectly fine with that. This is confusing and frustrating. I’m having a hard time reconciling being Orthodox and Catholic simultaneously. Doesn’t one side or the other have to be right? I understand and empathize. I take solace in the fact that God is a mystery that surpasses human understanding. We can only know so much. At some point, we have to come to terms with the mystery. This is an ongoing struggle for most of us. While I am currently Byzantine Catholic, I am about to become Orthodox. Historically the Latin Church has treated the Eastern Catholics very badly, and they continue to do so. I can’t take it any more, so I am leaving. Eastern Catholicism is a failed experiment. How can you remain Byzantine Catholic when you know the history??? The Byzantine Catholic Church is in communion with Rome, despite our differences. Nor are the differences as great as you seem to think. Unity does not have to equal uniformity. Indeed, this fact is expressed in the reality of the Trinity. God is three distinct persons, yet one God. In the same way, there can be great diversity within the Catholic communion of Churches. You raise the history of the Latin Church being abusive to the Eastern Catholic Churches. Historically, there is truth to this claim. Throughout much of our history, many members of the Latin Church have attempted to remove our traditions, and turn us into Latin Catholics. At times, they have even used connections in the Roman Curia to accomplish this goal. But things are changing, and have changed significantly already! At Vatican II the Catholic Church officially recognized our traditions, disciplines, liturgy, and theology as being equal to that of the Latin Church. Since then, a great deal of energy has been spent restoring us to our original traditions. Much of the damage has been undone, and more is yet to be fixed. In fact, it is amazing how much progress has been made in less than fifty years!!! Also, many of our Western Catholic brothers and sisters have developed a great respect for us. Many of them are very eager to learn about us, as is demonstrated daily on this new forum. We aren’t living in the 1920’s, my friend. The biggest hindrance in our progress is ourselves. First of all, many of our priests were trained in the pre-Vatican II mentality that the Latin way is superior. Many of our older priests, and perhaps even some bishops, are convinced that we must become as much like the Latin Church as possible in order to be “fully Catholic.” Such clergy are a vanishing breed, and they will soon be replaced entirely with younger priests who are extremely eastern. Rome is very eager for us to restore our Eastern heritage, and is intervening when necessary to assure this. I even have it on good authority that Rome no longer opposes our restoration of a married priesthood in North America. The second problem that is holding us back is our own bitterness! Yes, the Latin Church has been uncharitable with us in the past. But holding on to this bitterness, and even nursing it, is only harming ourselves. Resentment has a way of poisoning a person, and even paralyzing them. As long as we nurse bitterness and resentment against the Latins, and against Rome, we will assuredly destroy ourselves. Today, we are the masters of our own fate, and can determine whether or not we grow and flourish. We do not require a fiat from Rome or anyone else to do this. Likewise, we primarily have ourselves to blame for our failures. In conclusion, I believe that the Eastern Catholic Churches exist for a reason. When you consider the major historical obstacles that we have faced, it is truly amazing that we even exist today. Surely God has preserved us, and has something magnificient in store for us. We have suffered intensely for the sake of Christian unity, and this has not gone unnoticed by Jesus. In the decades to come, the Eastern Catholic Churches have an opportunity to be a model of “Orthodoxy in communion with Rome.” With much help from the Holy Spirit, we can prove to the world that it IS possible to be in communion with Rome without having to abandon our Eastern Christian heritage. However, we must be willing to cooperate with God to make this happen. Did Archbishop John Ireland have a prejudice against Eastern Catholics? Yes, it is well known that Archbishop John Ireland had no tolerance for Eastern Catholics. You can read about his unrelenting persecution of Byzantine Catholics in a book entitled “Before the Birth of Ecumenism.” It is published by Byzantine Seminary Press. For the record, in 1999 at the 75th anniversary celebration of the Byzantine Church in America, Cardinal William Keeler delivered the keynote address. On behalf of the Latin hierarchy, Cardinal Keeler apologized for the inexcusable actions of Archbishop Ireland. I was present at this event, and the apology was very warmly received. Why does there seem to be so much hostility toward Latin Catholics by SOME Byzantines? What you are referring to is what I call “Byzantine Bitterness.” Some Byzantine Catholics have a great deal of resentment towards the Latin Church. This isn’t very widespread, but it does exist in some quarters. To understand the source of this hostility, it is necessary to look at history. First, you will only find such bitterness in North America. This is because of the very real abuse that Byzantine Catholics suffered when they arrived here. Allow me to give you some historical background. In the late 19th and early 20th centuries large waves of immigrants came to the United States. Among these immigrants were numerous Latin and Byzantine Catholics. The only bishops established in the country were Latin bishops, most of whom were of Irish background. These bishops had never even heard of Byzantine Catholics before, and were shocked by our differences. They were especially revolted by our tradition of married priests, which they considered an abomination. As more Byzantine Catholics arrived, we began building parishes and recruiting priests from Europe. Most of the priests that we were sent were married with families. This greatly angered the Latin bishops, especially the famous Archbishop John Ireland. The Latin bishops began a vigorous campaign to have our married priests expelled from the continent, and sent back to Europe. The Latin bishops had many friends and contacts in the Vatican. At the time, we Byzantine Catholics had no one in the Vatican to present our side of the dispute. Eventually, the Latin bishops managed to obtain a Vatican ruling that banned married Eastern priests in North America. At this point all heck broke loose. Almost all of our parishes were served by married priests, and if they had to leave we would have had no priests. All of our parishes would have closed. Some of the Latin bishops proposed a solution: they would loan us Latin priests who would celebrate the Roman Mass in our parishes. Eventually, we would be fully assimilated into the Latin Church. As you could imagine, this option was considered unacceptable. We Byzantine Catholics have a great love for our liturgy and traditions, and would rather die than part with them. For these immigrants especially, the Byzantine tradition was the only connection that they had maintained with their roots. At this time the Russian Orthodox Church entered the picture. The Russian Orthodox were sympathetic to our sufferings, and offered to help. They would provide our parishes with priests, and life would continue as before. All of our Byzantine traditions would remain fully intact. The only catch was that these parishes would henceforth be considered Russian Orthodox, not Byzantine Catholic. A large number of Byzantine Catholics took this option. Feeling deeply betrayed by Rome, and not wanting to be coerced into the Latin Church, they became Russian Orthodox. The majority of Byzantine Catholics in the United States became Russian Orthodox during this time. Only a minority were left in the Byzantine Catholic Church. The large numbers leaving our Byzantine Church caught the attention of Rome. They realized that something had to be done fast. Thus, the Pope established a Byzantine Catholic hierarchy of bishops in North America. This angered many of the Latin bishops beyond belief. They were furious that they had to share America with Eastern Bishops. With our own bishops serving us, Byzantine Catholicism in the New World became more stable and secure. Nonetheless, the damage was already done. Families were painfully divided between Orthodox and Catholic lines. Legal disputes over parish property flooded the courts. And worst of all, we lost so many members that our Church became a gaunt shadow of its former self. Almost all of the Russian Orthodox and OCA Christians in North America today are descended from Byzantine Catholics. Because of this horrible travesty, a great deal of animosity remained between Latin and Byzantine Catholics. This animosity lingered well into the 1960s. As recently as at Vatican II, a group of American Latin bishops attempted to have Eastern Catholicism banned in North America. Of course this attempt was quickly squashed. Instead, Vatican II went on to affirm the equal rights and dignitiy of the Eastern Catholic Churches. Since then things have dramatically improved. Today the relationship between Latin Catholics and Byzantine Catholics is far better. Our bishops have a good working relationship. Unfortunately, a great deal of hurt feelings still remain. In 1999 Cardinal William Keeler, on behalf of the Latin hierarchy, apologized to the Byzantine Catholic Church for the abuse we had suffered. This apology was very warmly received. Likewise, the current Archbishop of Minneapolis expressly apologized for the actions of his predecessor, Archbishop John Ireland. Let us pray that all of the residual wounds from this dispute are soon healed. Some Byzantine Catholics are having a hard time forgiving. Instead, they are paralyzed with bitterness. It is my fervent hope that they will eventually learn to forgive. Are Eastern churches still pretty much divided along ethnic lines? Why don’t they evangelize like Roman Catholics to other ethnic groups? Most unfortunately, many Eastern Catholic Churches are still divided along ethnic lines. This results in a lack of evangelization, and the stagnation of parishes. This is changing, thankfully. Many Eastern Catholic Churches have been making a serious effort to reach people from all backgrounds. We now have members from all ethnic and racial backgrounds. We visited a Maronite Rite church and will attend the Divine Liturgy this weekend. Can you tell us a bit more about this rite, it’s history and what we may expect? The Maronite Catholic Church was founded in the Fourth century by St. Maron, an influential monastic leader. They have never been out of communion with Rome, although communication was interrupted for many years due to geography. The Eucharistic Liturgy is a variation of the Liturgy of St. James, with some Latin traditions mixed in. In the twelfth century the Maronites came into contact with French crusaders, and as a result many Latin customs and traditions became incorporated into their worship. Since Vatican II, much of the original Syriac tradition has been restored to the Liturgy. You will not find an iconostasis, as that is a Byzantine usage. Instead, you will find a very intricate but beautiful liturgy, which makes much use of the poetry of St. Ephraim. The Eucharistic prayer (anaphora) is said in Aramaic, which is the language spoken by Jesus! Communion is distributed by dipping the Body into the Precious Bloood, and placing it on the communicants tongue by hand. I hope that you have a wonderful visit. What is the Maronite Divine Office like? Is is much like the Latin Liturgy of the Hours? I believe that otherwise the Maronites use the same titles that are found in the Latin Church. Of all the Eastern Churches, why is it that the Maronite Church hasn’t produced as may icons as the Byzantine or Melkite Churches? Actually, the Maronite Church does have its own distinctive style of iconography. Unfortunately, because of the Crusades and the resulting influence of French culture in Lebanon, much of the Maronite iconographic tradition was lost and replaced with Western statues. Thus, today many Maronite Churches have no iconography and only use statues. The Second Vatican Council requires all Eastern Catholic Churches to recapture their authentic traditions, even those that have apparently been lost. For the Maronite Church this includes recapturing its tradition of iconography. I have heard of some places where this is occuring, but progress is slow. Hopefully more young Maronites will come to realize the value of this tradition, and will take steps to restore it.